I sincerely apologize the late post. I know you all are eager to read about my second day in the city by the bay. Actually, probably most of you just want to look at my photos. It’s okay. You can admit it. I don’t blame you. My plan to write and edit at the end of each day ended up falling through because I found myself completely exhausted. I suppose not everything can flow smoothly. Enough chatter. On day two, I got a really late start. I didn’t leave the hotel until around 1pm. 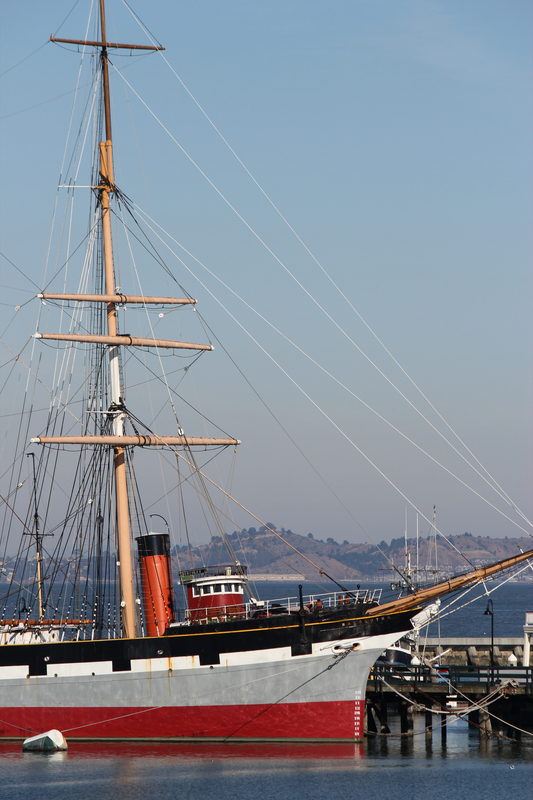 I took a fairly short walk to Fisherman’s Wharf and was completely surprised by how close it was from the hotel. The temperature hadn’t heated up very much. It hung around the mid-5o’s and was a lot cooler by the bay. Once I got to Fisherman’s Wharf, I had lunch at Lou’s Fish Shack. It’s a cute little place that sat next to the dock where they held boat tours. The review of it is linked above. After lunch I took a boat tour on the Wacky Jacky for $15. Luckily, I’m not one of those people who get seasick. The cooler temperature combined with the water left me freezing the first half an hour. But once we got out into the sunlight and near the Golden Gate Bridge I was quite toasty and the view was marvelous. My camera lens ended up having a fine layer of salt by the end, but the experience was great. I really love the water. 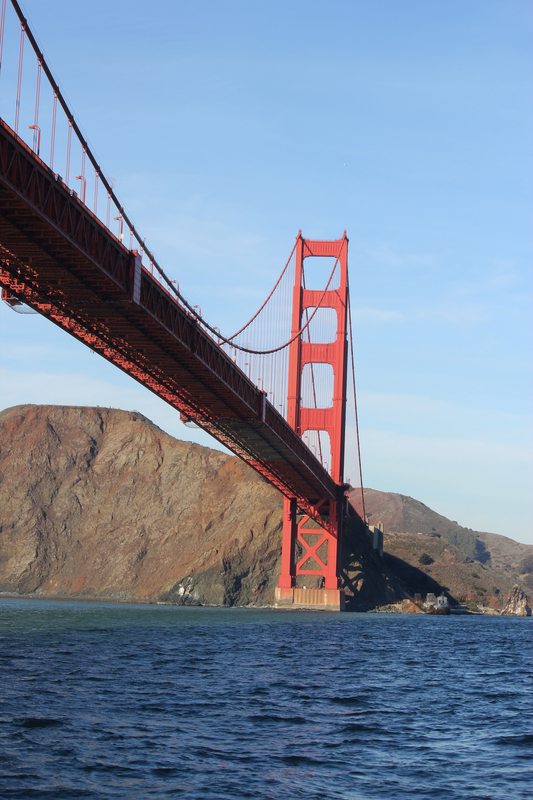 I would definitely recommend a boat tour out, around, and under the Golden Gate Bridge. It’s a lovely way to see the bridge from another perspective and you get really close to Alcatraz. The Wacky Jacky is a smaller fishing boat, so if you are easily prone to seasick then this is not the tour for you. It rocks quite a bit and I found that we had to ride the waves left by other boats. 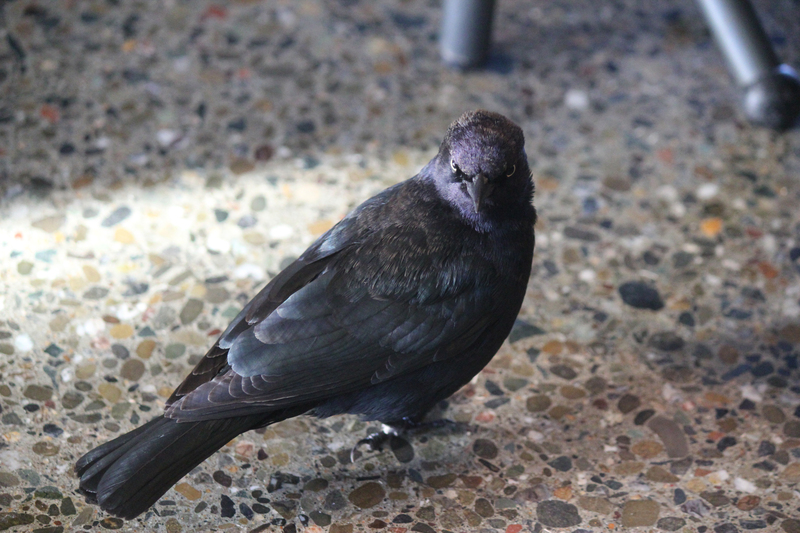 After the tour, I stopped by a coffee shop to warm up and I was greeted by this lovely bird. He was not too happy about getting his photo taken. He seriously is giving me the What-do-you-think-you’re-doing look. After that pleasant encounter, I decided that Lombard St. to see the famous Crooked St. This is where things get really interesting. I have a horrible fear of heights. I’m fine on a plane, but everywhere else that’s really high sends my stomach down to my feet. Roller coasters are pretty much out for me. Needless to say, San Francisco is not the best place for people with a high sense of self-preservation. Those hills are no joke. Tumbling down a hill was an ever-present fear for me. Despite that, Lombard St. was interesting. I’m not exactly sure why they decided to make the street that way, but it was a beautiful sight to see. With those eight hair-pin turns down a one block span, it has to be pretty hard driving down. The walk back to the hotel was my exercise for the day. 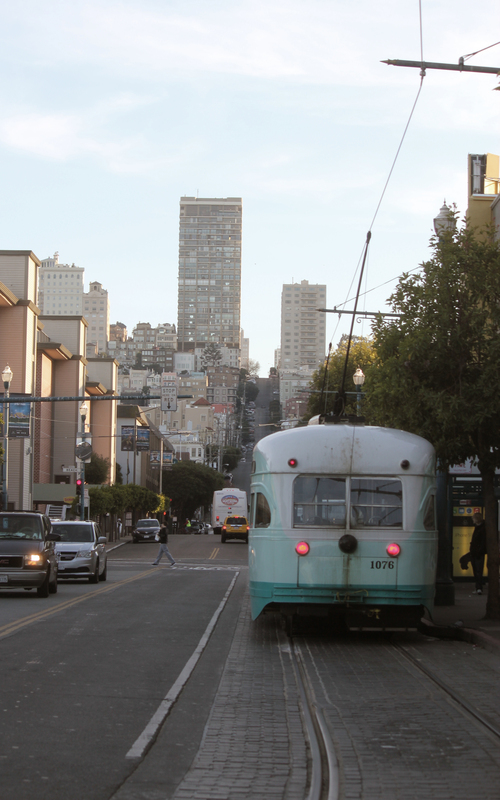 It didn’t occur to me that my walk down to Fisherman’s Wharf was so easy because it was down hill. I could’ve taken a cab, but seriously, I’m young. There wasn’t any sense in spending money pointlessly like that. By the time I got back to the hotel, it was beginning to get dark. I spent a little bit of time lounging around and picking out my favorite photos for this post before I went out for dinner. I found a cute, little place called Street on Polk St. I love eating at local places and one of my goals was to stay away from chains. I was really glad that I did. The review of the place is linked above. Well, that pretty much wraps up day two. Thanks for reading.